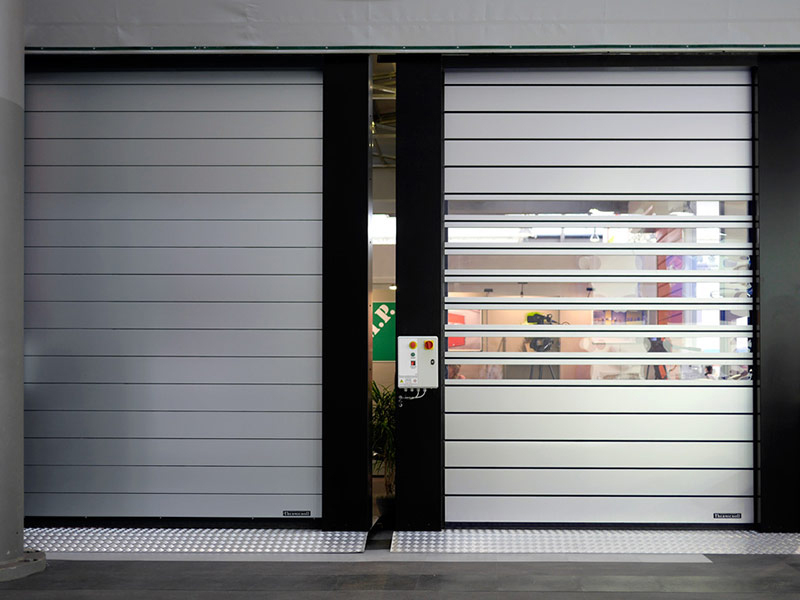 Spiral ISO 80 insulated high-speed doors are the best quality products of our range. This door is designed for any type of industry, and in particular for those sectors that require the insulation of large negative temperature environments, being a more technologically advanced version of Thermicroll Spiral ISO 40. Thermicroll Spiral ISO 80, besides having all the characteristics of Spiral models, ensures an even higher insulation thanks to the thickness and the shape of its panels, also offering the highest opening speed of the entire range. Thanks to its special features, it can withstand cold temperatures down to -30°C. Moreover, just like all Spiral doors, it offers the best performance in terms of safety, simplicity, noise abatement, design and durability (this model was tested to withstand up to 1 million open/close cycles). It features a patented spiral system, while its horizontal tracks are made of high density polyethylene, with an integrated handling system. Another great advantage of this product is its versatility, thanks to its small footprint. 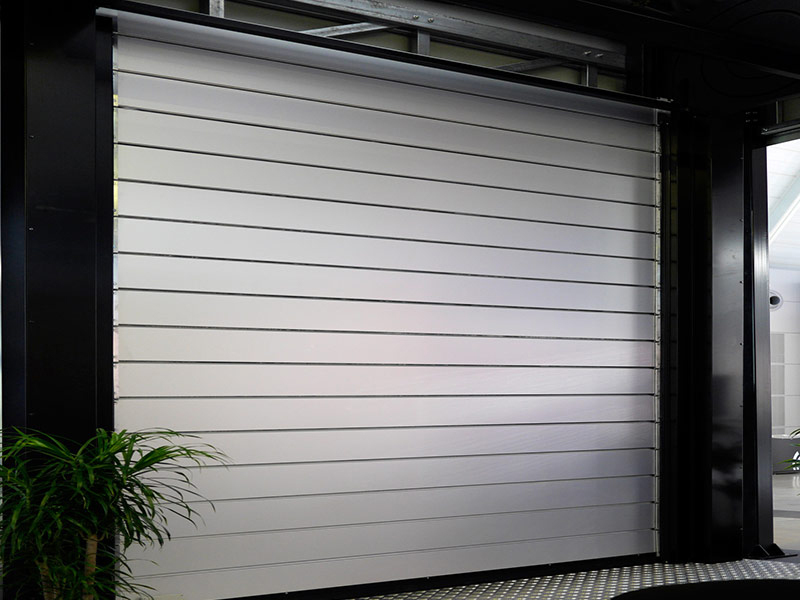 Moreover, unlike traditional sectional doors, it does not require any anchoring to the ceiling.